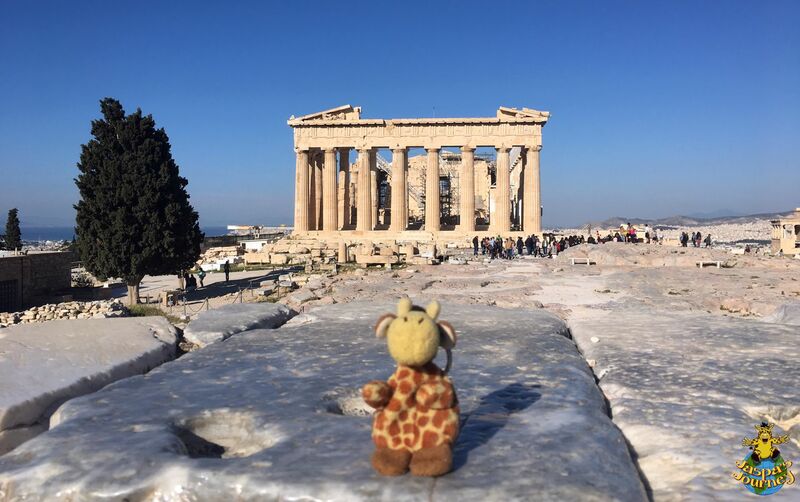 I’m lucky enough to say I’ve been to quite a few famous places around this marvelous planet of ours. 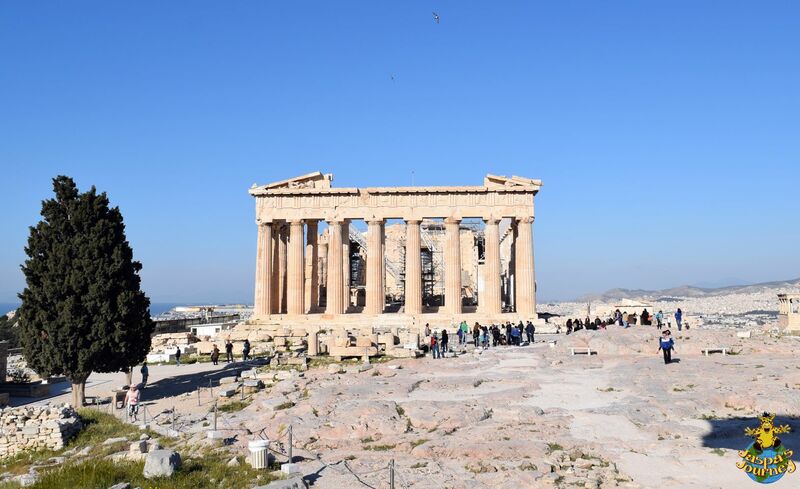 But finally getting to visit the UNESCO World Heritage Site of the Acropolis and Parthenon in Athens was pretty special. 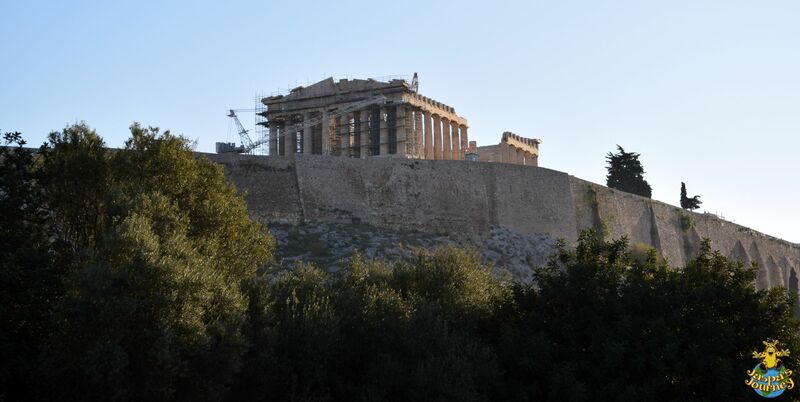 Not long after dawn we were met at the bottom of the hill by our fabulous guide, Marialena Christopoulou. 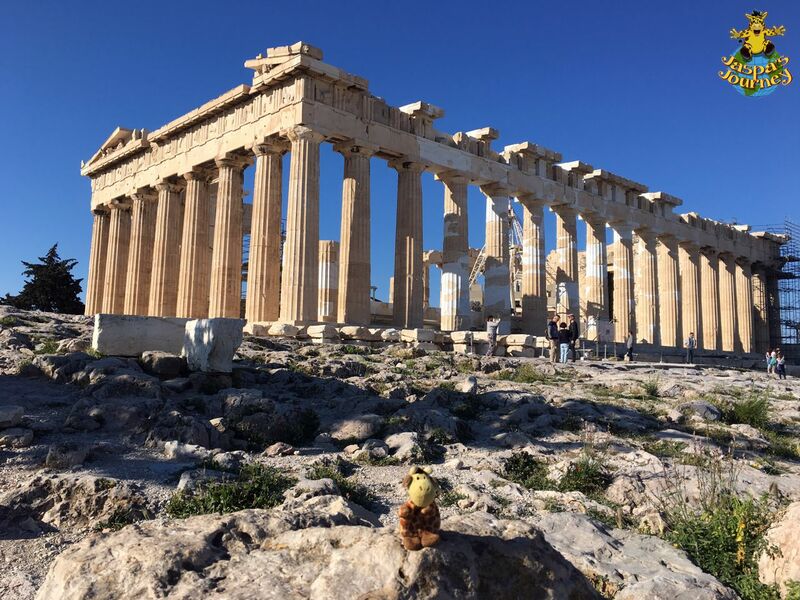 She led us up the path to the Acropolis, until we got our first close-up view of the Parthenon between the columns of the Propylaia (the entrance to the Acropolis). 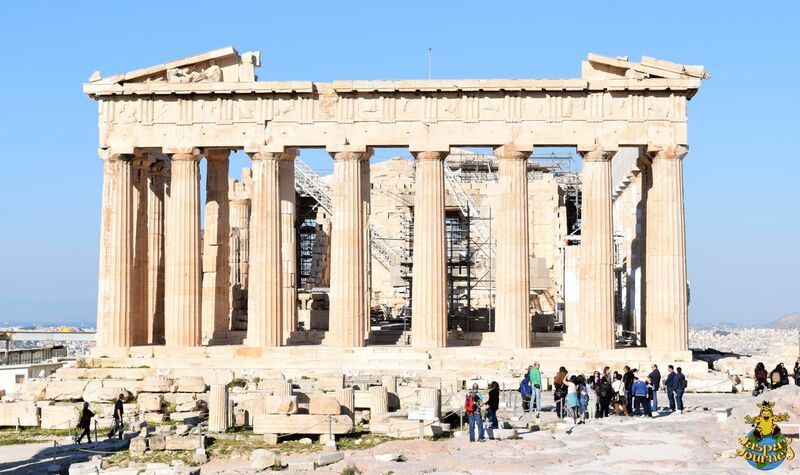 The Parthenon was actually the third temple on the site. 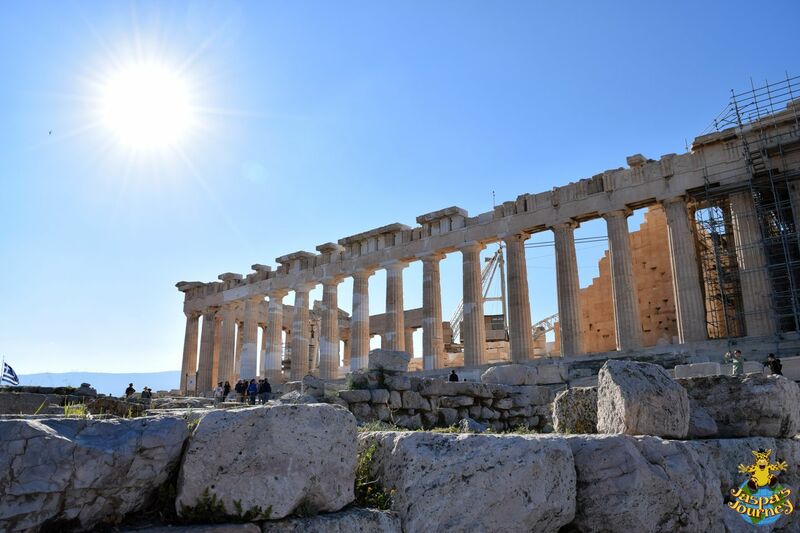 It was begun in the year 447 BCE and took just nine years to build. 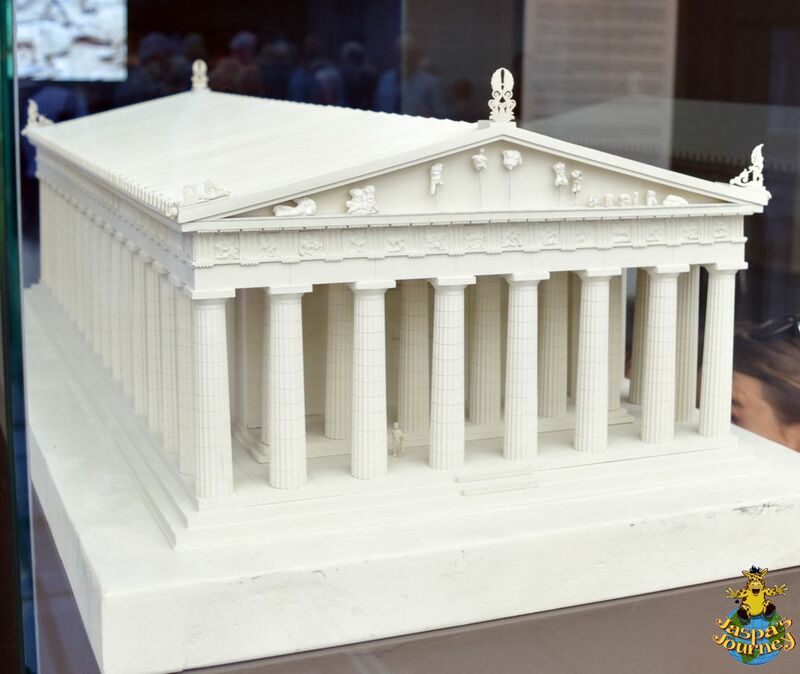 The Parthenon is constructed entirely of Pentelic marble. 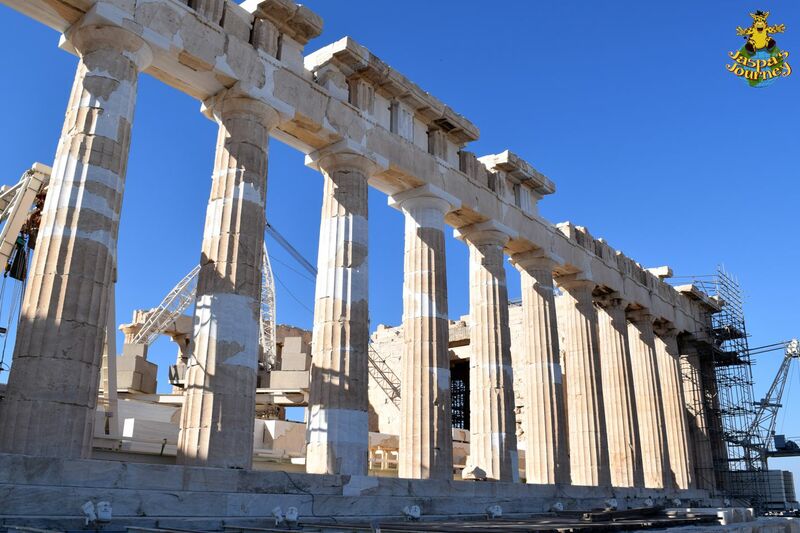 Ringing the structure are 46 columns, each over 34¼ feet tall. 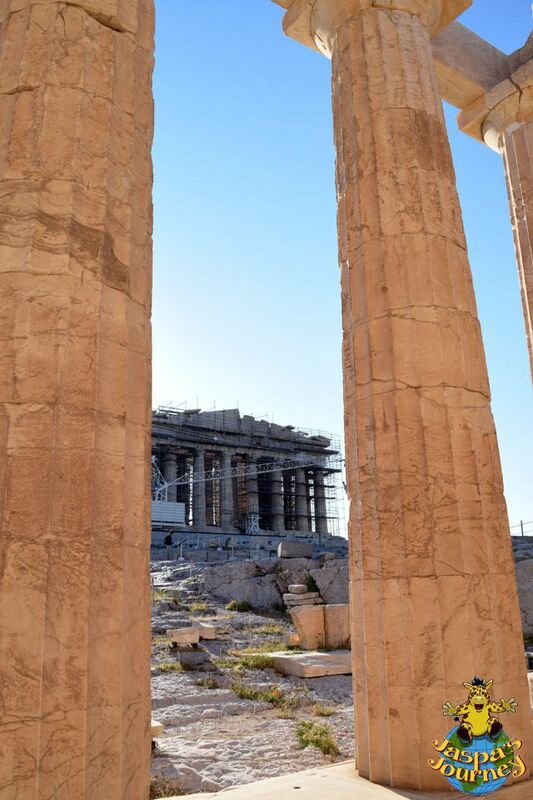 Although originally a temple to the Greek Goddess Athena, the Parthenon has been put to other uses through the centuries. It has been twice been a church and also a mosque. Finally, the Turks converted it into a gunpowder store! 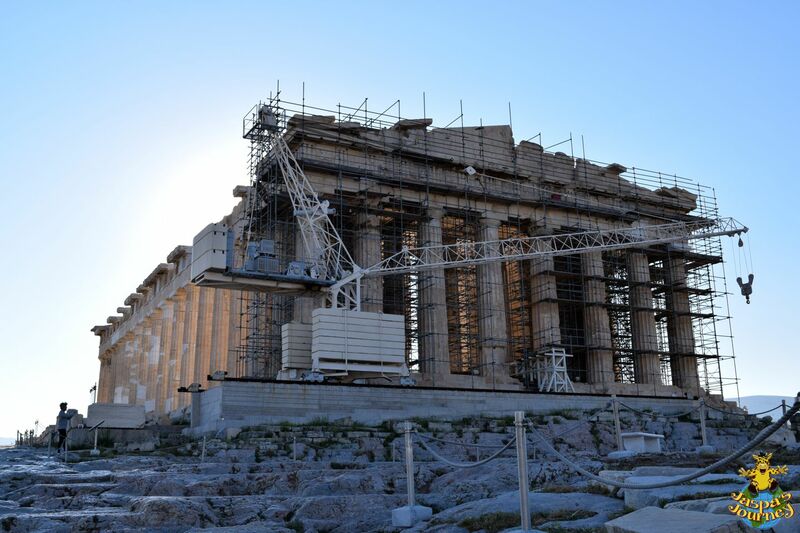 This last usage was ultimately the indirect reason for the Parthenon looking the way it does today. 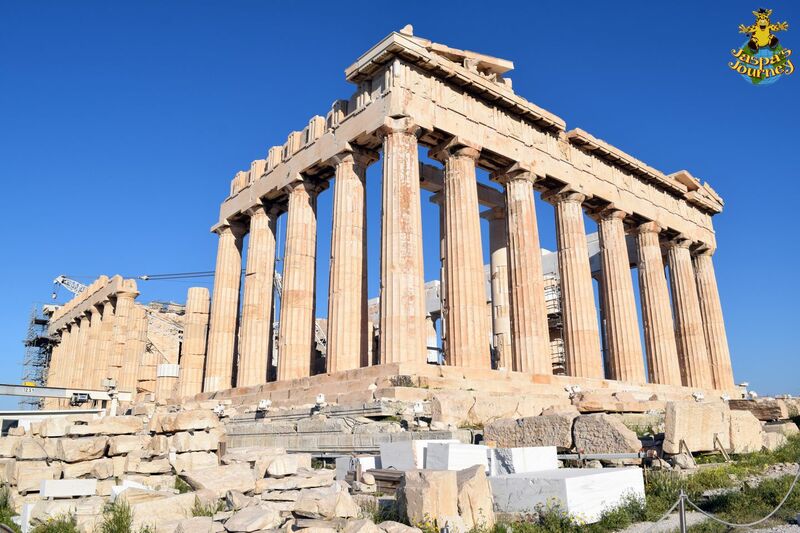 In 1687, a shell hit the Parthenon during a Venetian attack and, thanks to the gunpowder being stored inside, the building was blown to smithereens. 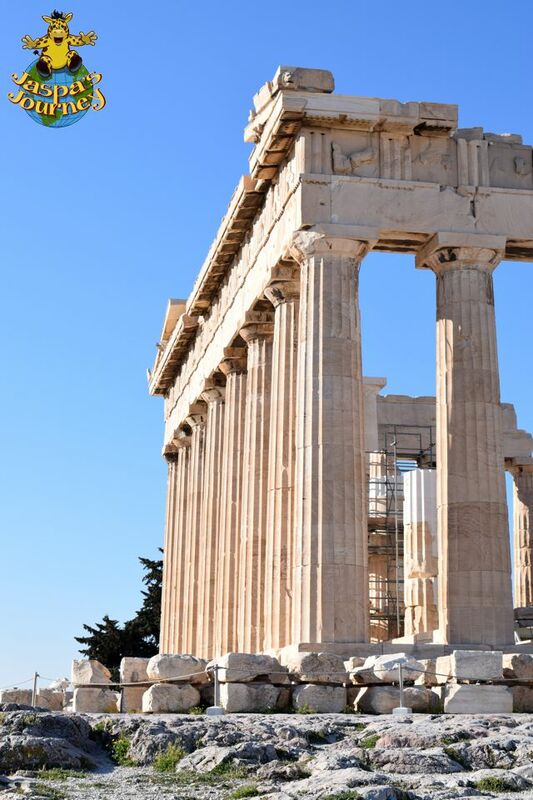 Following the near destruction of the Parthenon, another smaller mosque was built within its ruins. 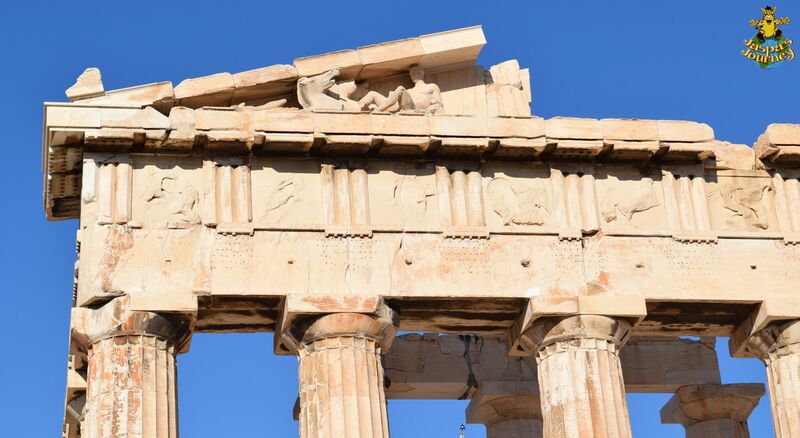 During the next couple of centuries the remains of the Parthenon continued to be looted for building material and sculptures. 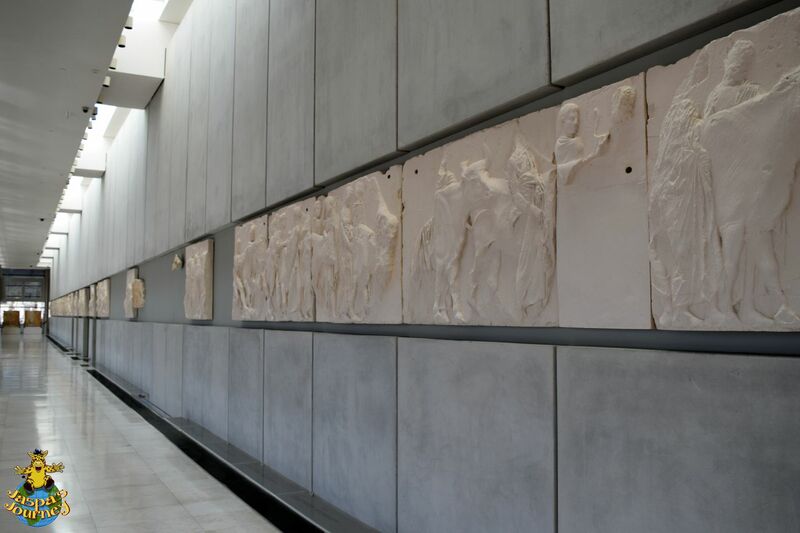 Most famously, Lord Elgin controversially removed many of the surviving friezes and sculptures in the early 1800s. 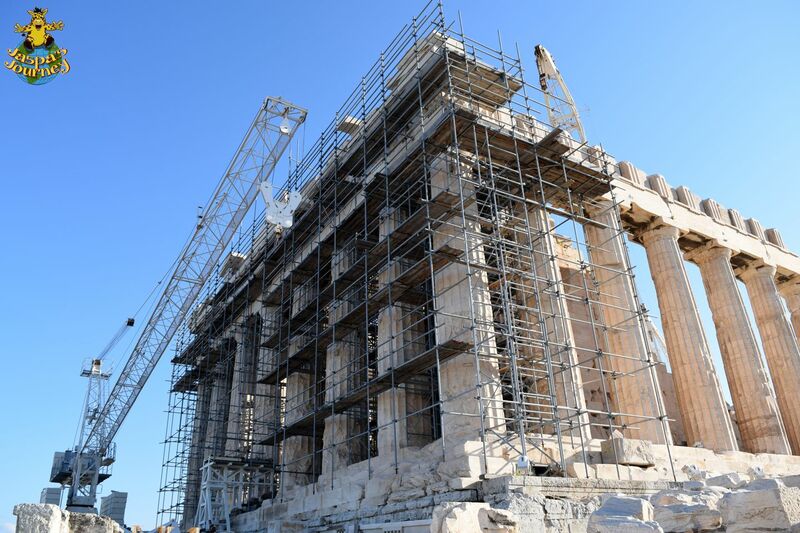 Early renovations led to the demolition of the later mosque and the restoration of parts of the Parthenon, including the reassembling of several of the columns. 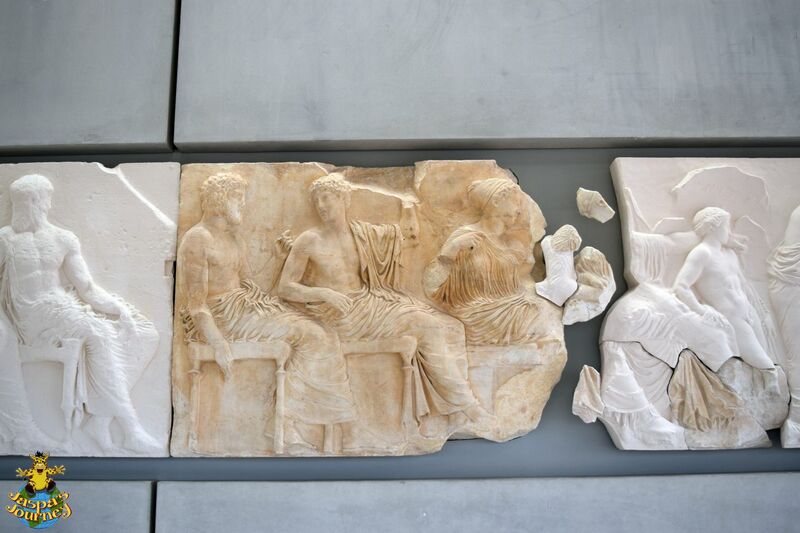 These original restorations often produced as many new problems as they solved. 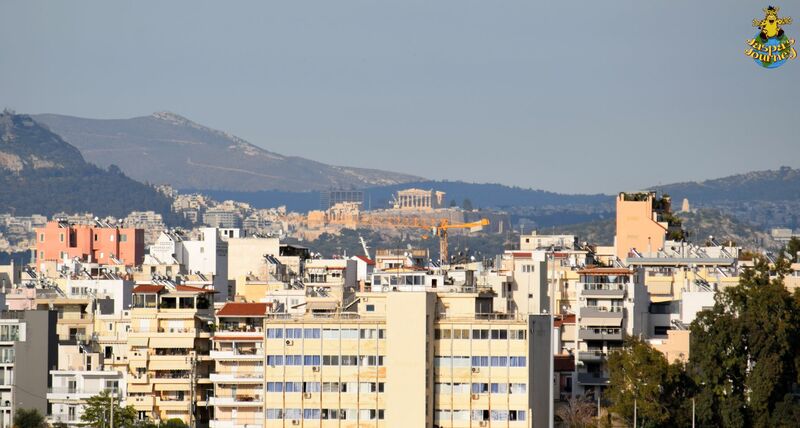 However, the Committee for the Conservation of the Acropolis Monuments was established in 1975, and since then a more considered approach has been adopted. 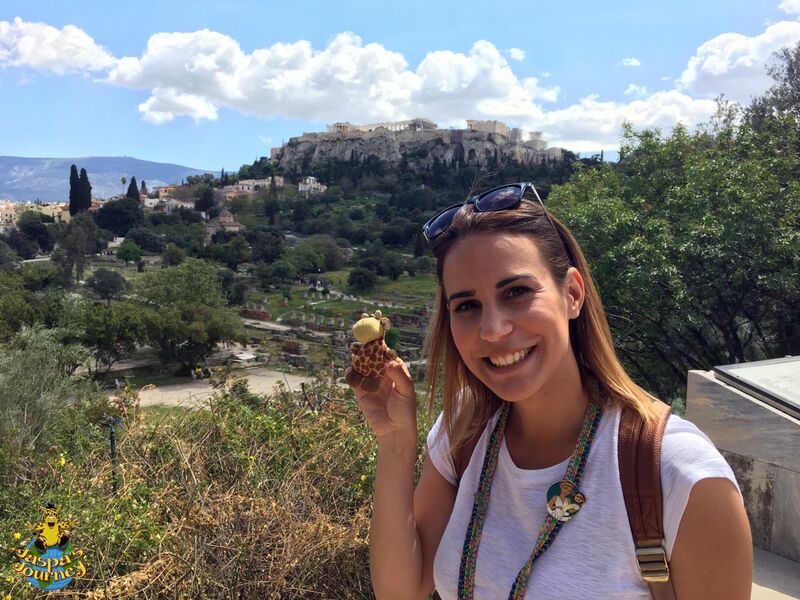 Our visit to the Acropolis and the Parthenon was something I’ll always remember, thanks in no small part to Marialena’s knowledgeable commentary (she’s a trained archaeologist). And visiting so early in the morning meant we beat the crowds, too! This post was inspired by the photo theme of Columns and Vertical Line(s) from Cee’s Fun Foto Challenge and Jo’s Monday Walk. 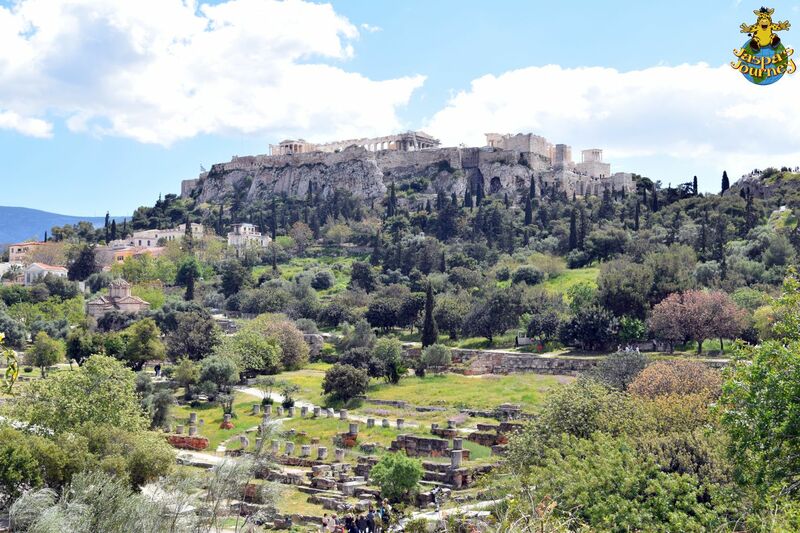 This entry was posted in Europe, History, Jaspa's Journey, Photography, Travel, UNESCO World Heritage Site and tagged Acropolis, Athens, Greece, Parthenon, ruins. Bookmark the permalink. Oh no! I bet that was a huge hassle getting a new passport. 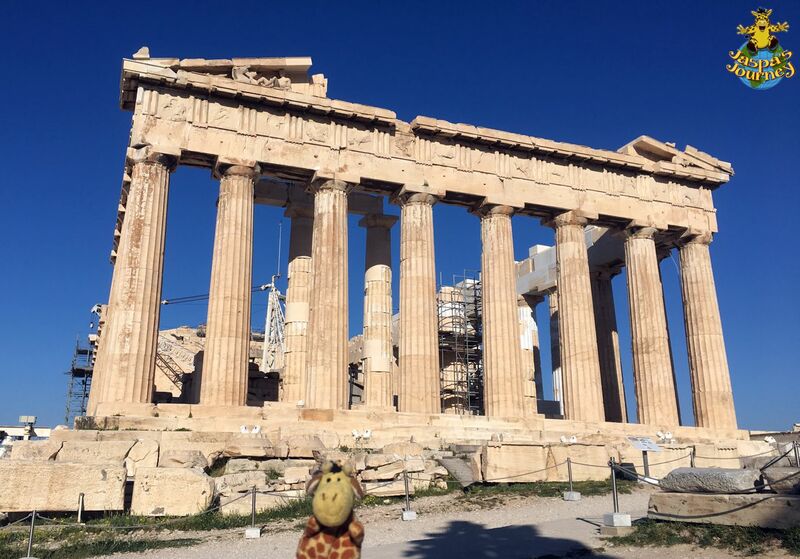 I hope you had chance to enjoy the Acropolis a little before you realised everything was about to go so wrong! 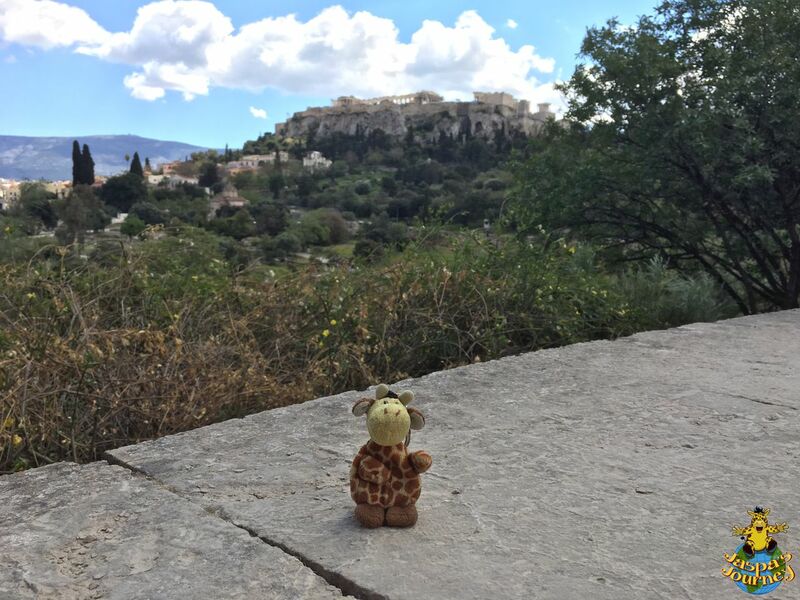 Will you go back, or is Athens forever tainted for you, Jo? Glad you noticed, Cee. Columns in abundance! Marvellous! How did you get the early viewing? Our guide, Marialena, arranged it all for us, Sue. Very good! So hoŵ did you find your guide…travel company? Oh, OK…the Internet works sometimes, I had a good experience in Cuba…. 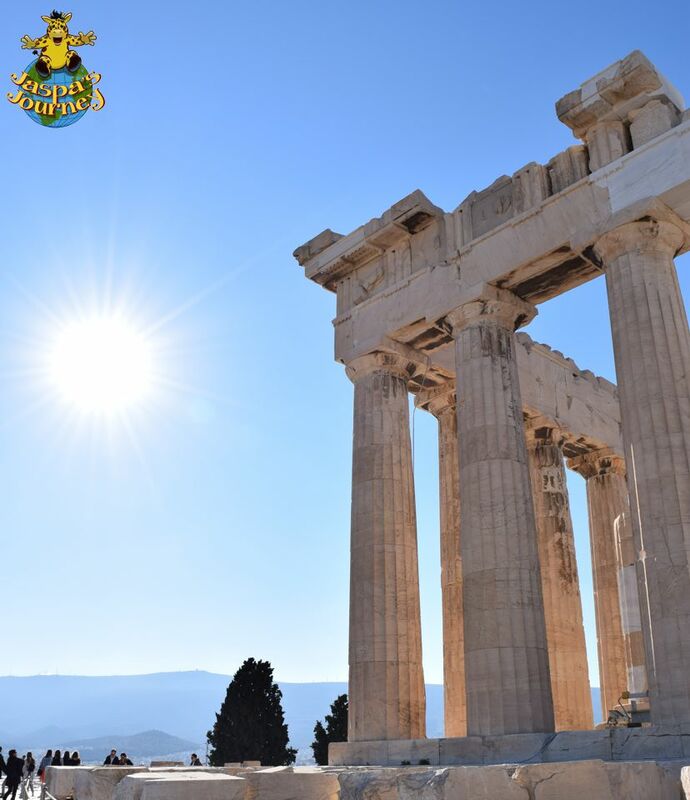 Ancient Greece was built for this challenge, wasn’t it ;)?